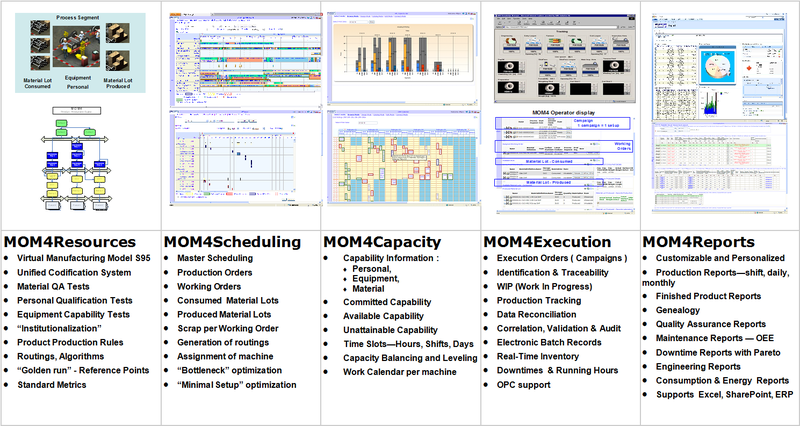 MOM4 is a collaborative software, based on standard products that close the gap between production planning and production execution. Main benefit lies in enabling producers to react continuously and operate at the optimal condition. The users which can apply and benefit from MOM4 vary from shop floor operators to executive managers. 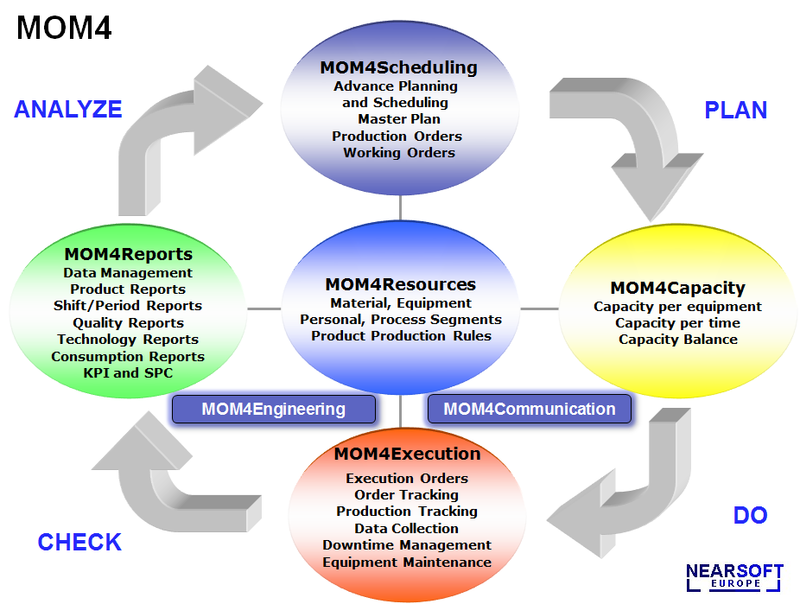 MOM4 empowers YOU to make real-time actionable decisions both throughout the plant and across the enterprise. MOM4 Suite comprises five important and powerful products: MOM4Scheduling, MOM4Capacity, MOM4Execution, MOM4Reports, and MOM4 Resources. 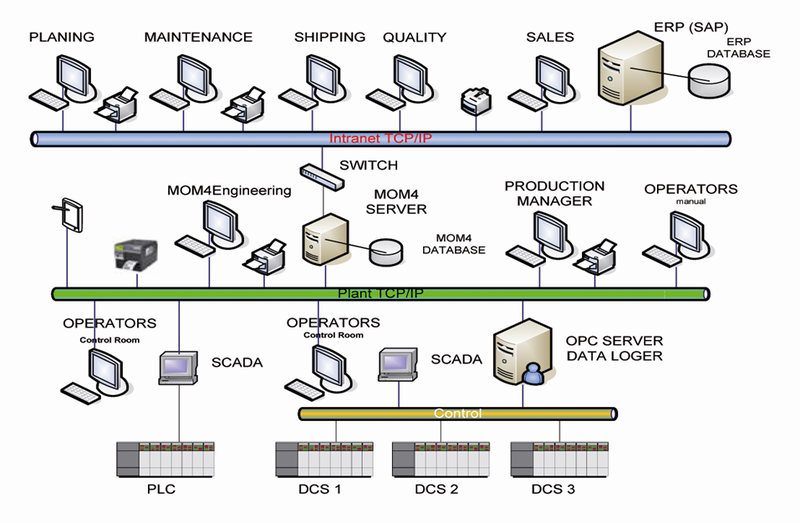 All products provide a flexible approach to collecting, organizing, and distributing production and quality information throughout a processing plant via a web-based user interface. The suit is fully built to comply with industry standards such as B2MML and OPC , allowing the system to operate with any other ERP system or DCS/PLC product brand used in basic automation. Copyright © 2013 NearSoft Europe GmbH. All rights reserved.